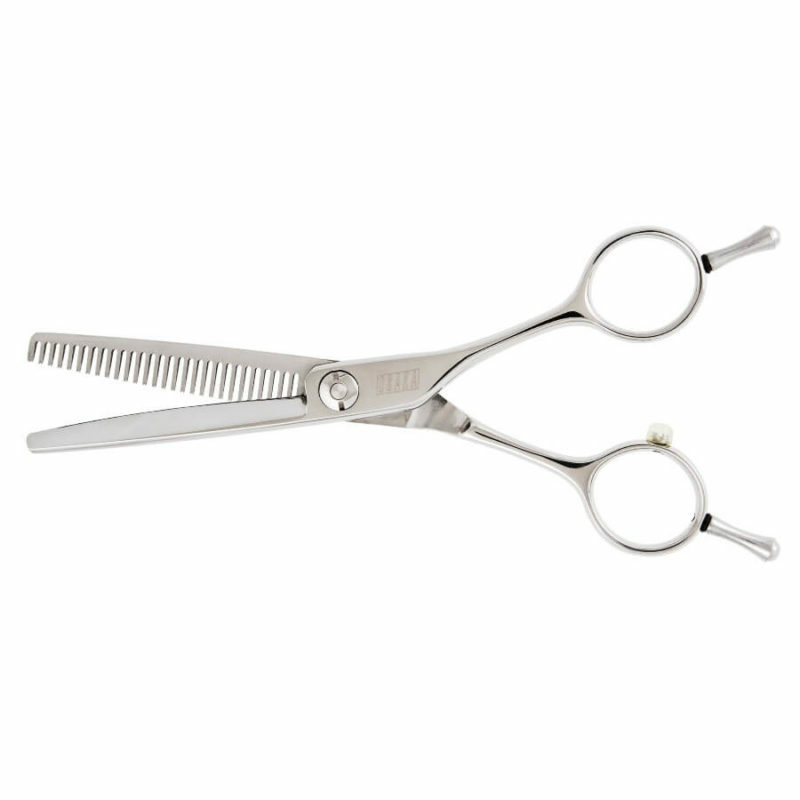 Innovative Thinning Scissors with widely serrated straight blade to reduce friction. 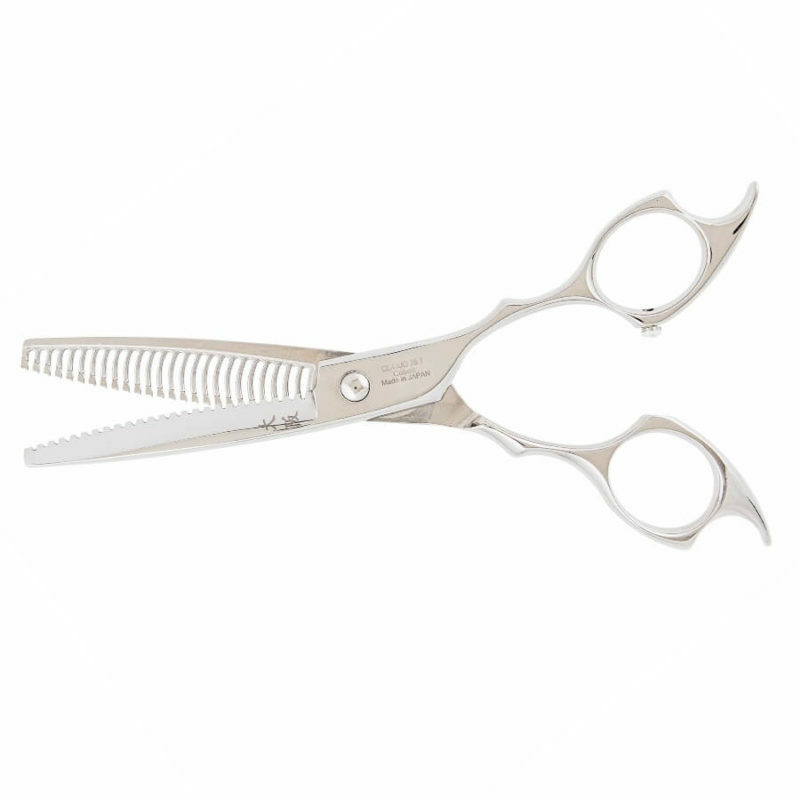 Double teeth blade designed to leave even less line on hair for a natural result. 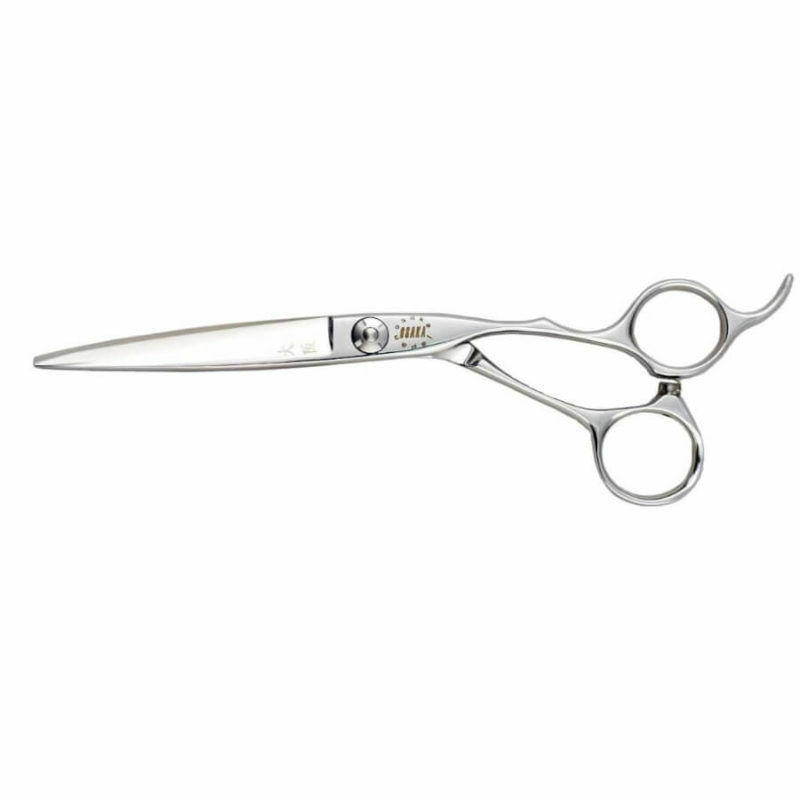 Great for point cutting, and slide cutting hair. Level set designed handle for a better grip and stability. 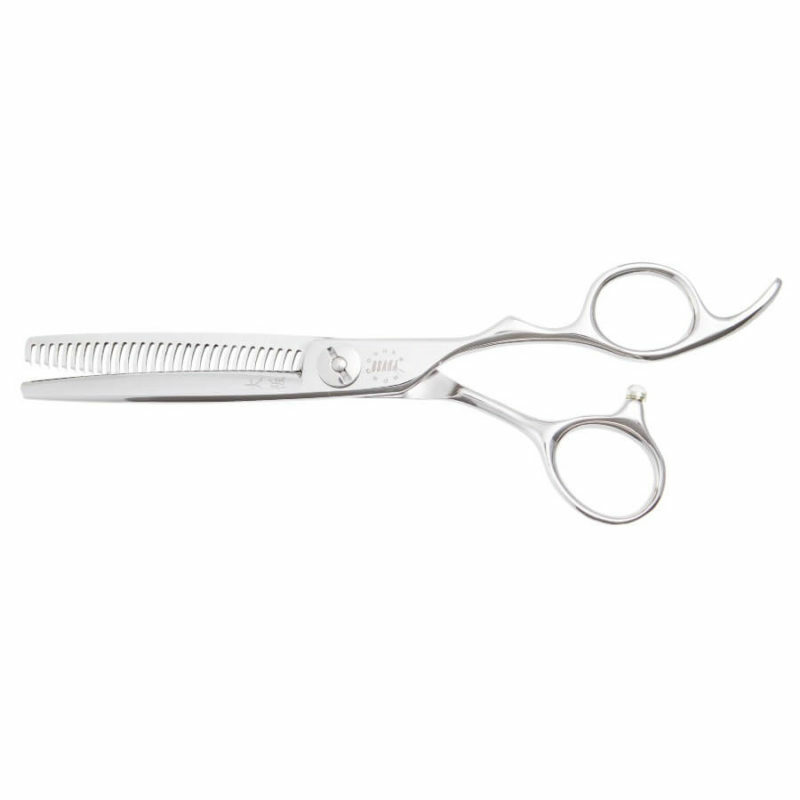 Carefully crafted from VG-10 Cobalt, popular in premium Japanese cutlery and knives.